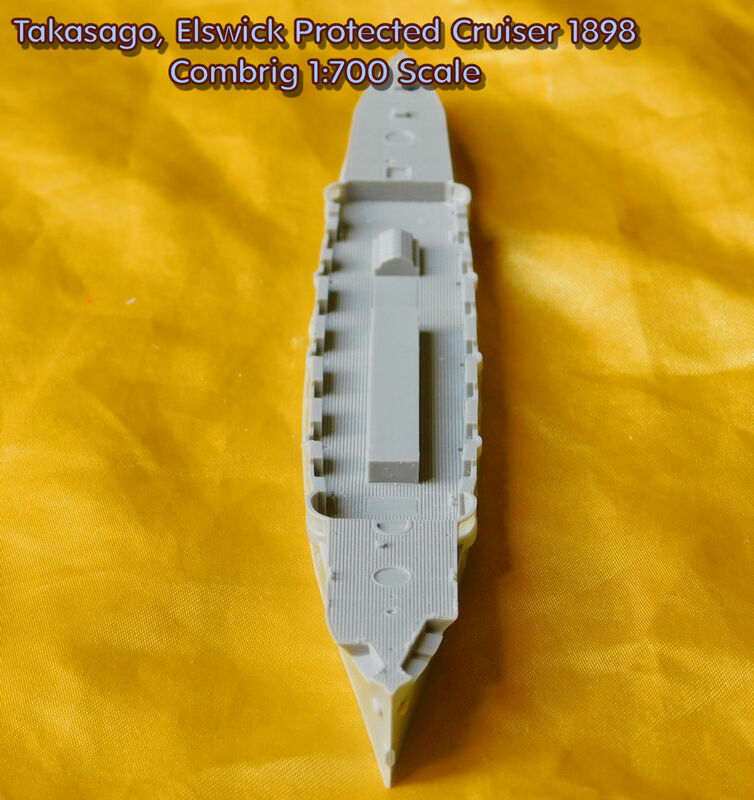 was typed as a frigate because she only had a single gun deck. 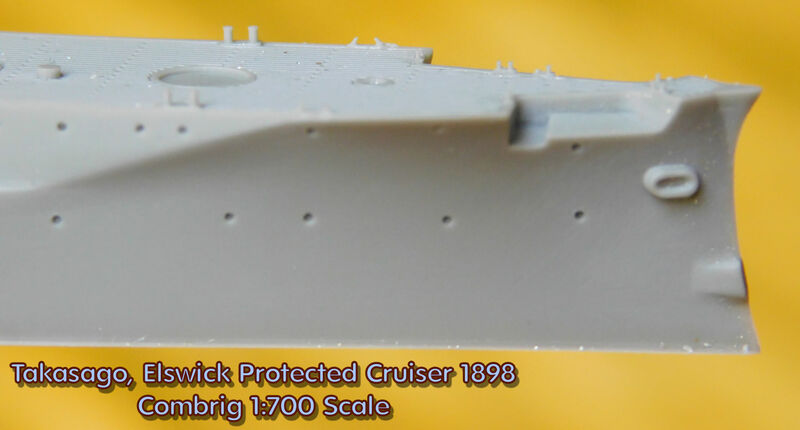 The frigate as a type evolved into the term cruiser. 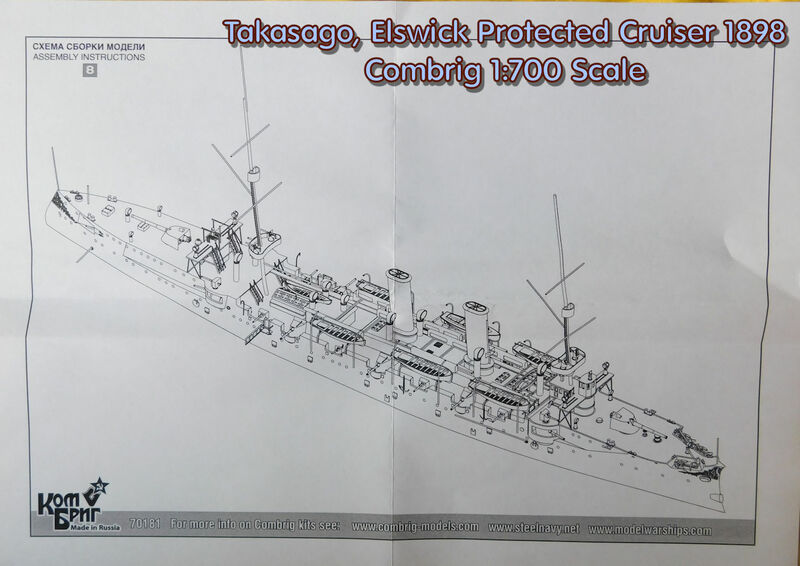 the armored cruiser at the end of the century. 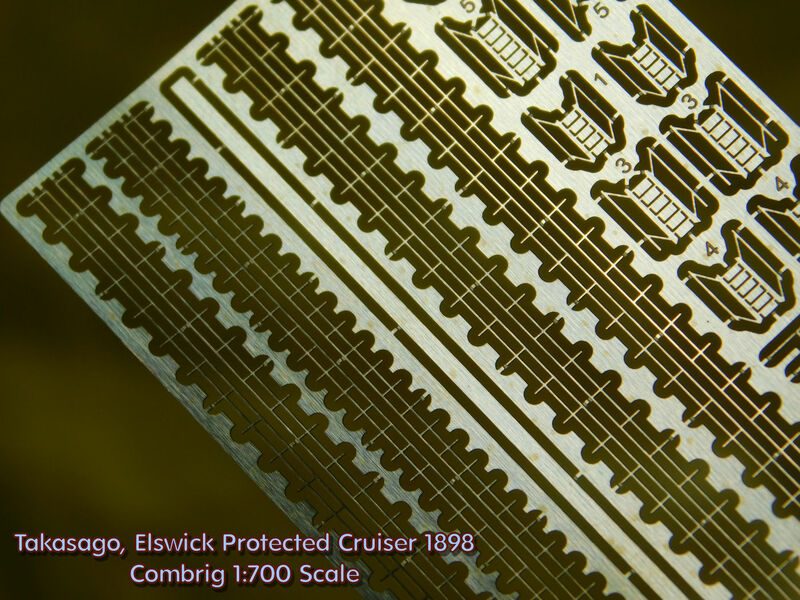 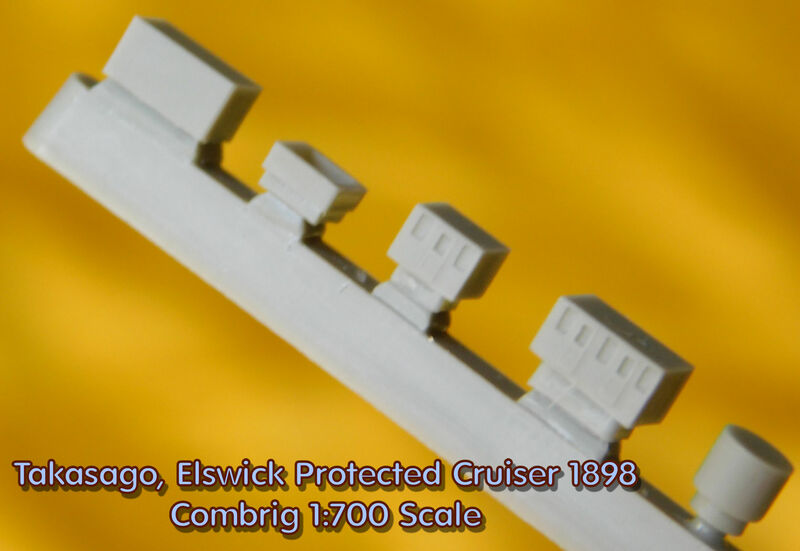 It was the first of what became known collectively as the Elswick Cruisers and the protected cruiser as a type. 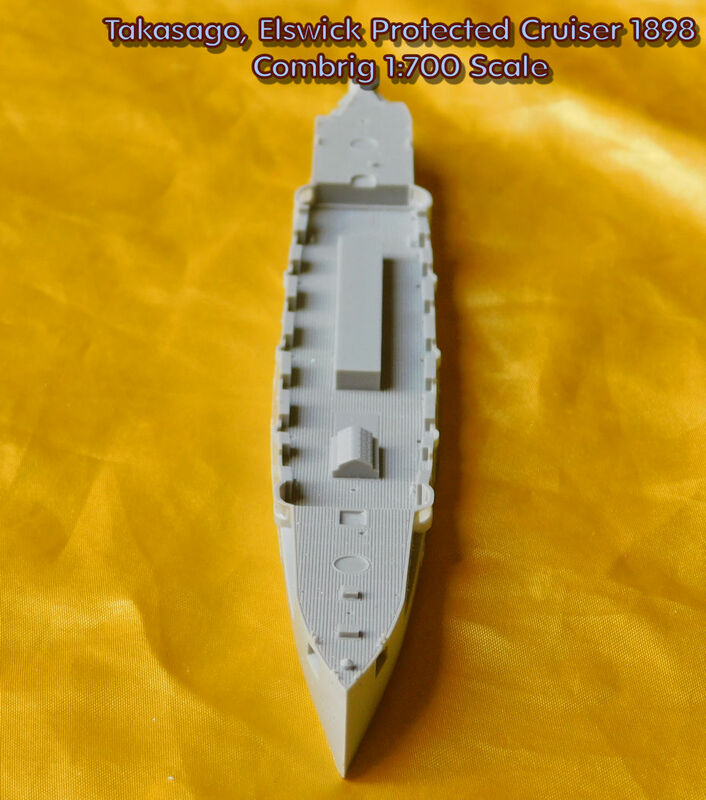 with 1, Chile with 4, China with 4, Italy with 3, Japan with 4, Portugal with 1, Turkey with 1, and the United States with 2.
the reputation of French builders due to her fate. 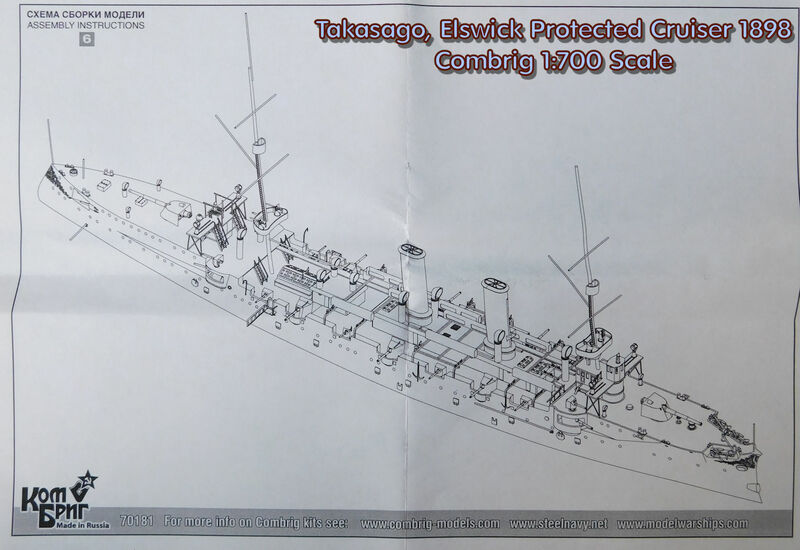 French designers tried to out do the Armstrong design and mounted too heavy an armament for her displacement. 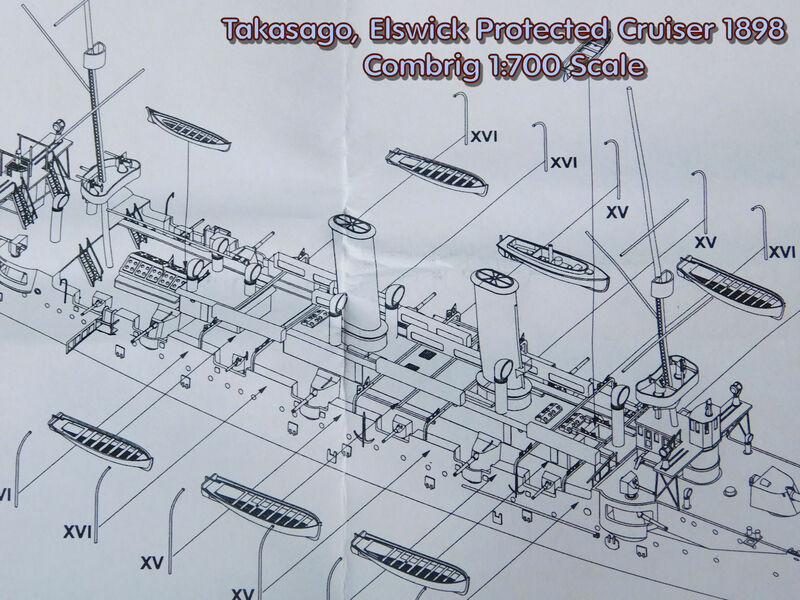 modern ship of any size to be built in Japan at the Yokosuka Navy Yard. 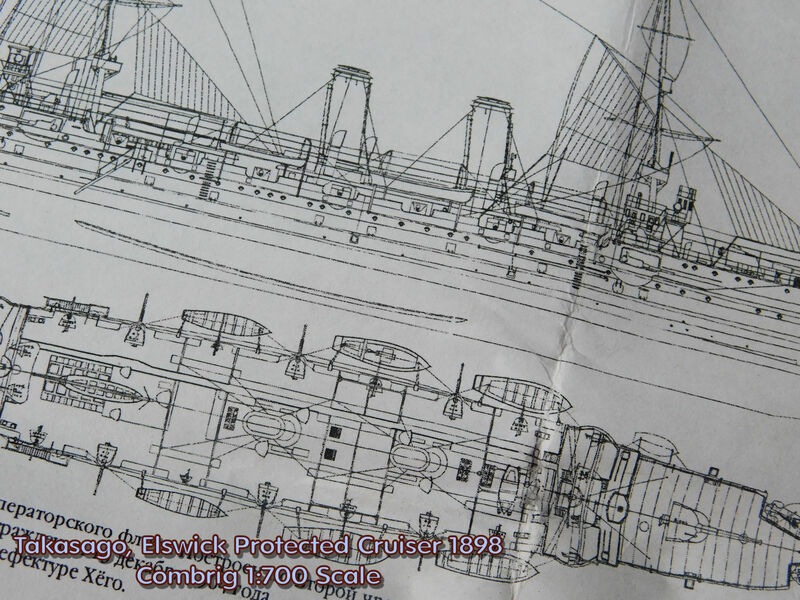 navies were getting cream of the crop designs built by a British company? 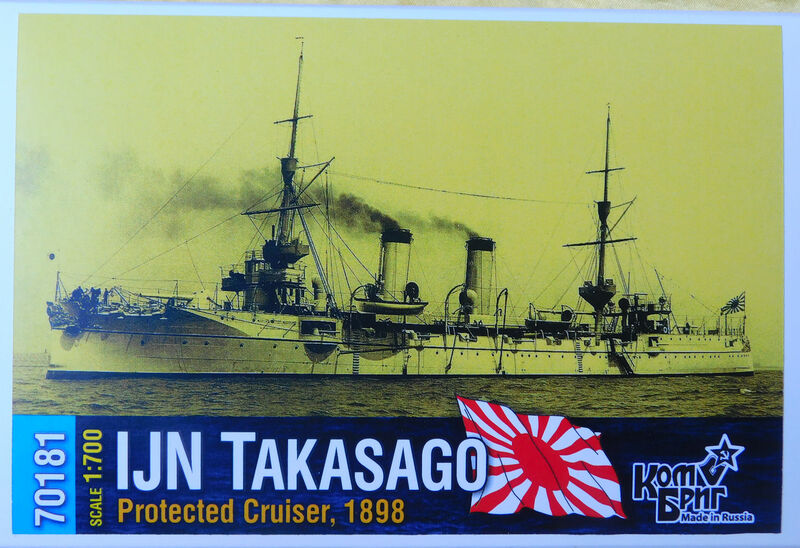 major warship to be sunk in the Russo-Japanese War. 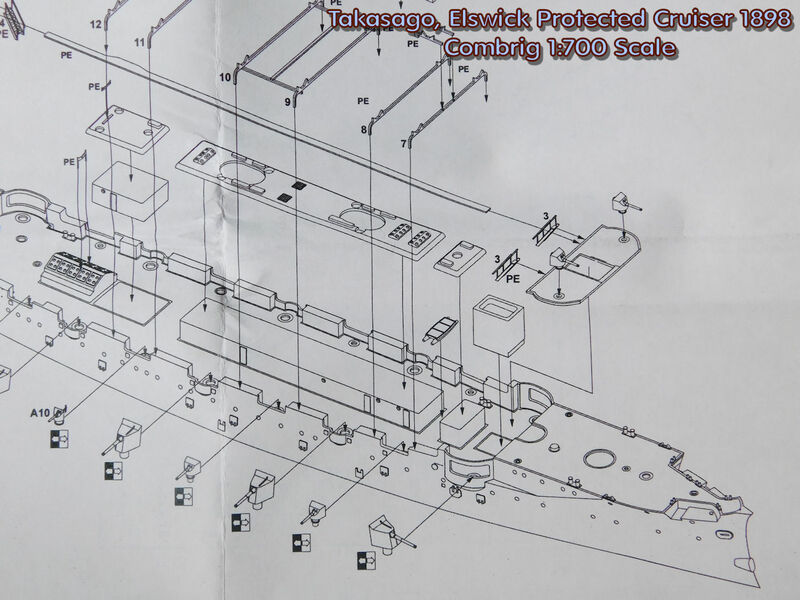 from hull openings for the forward and aft 4.7-inch gun positions. 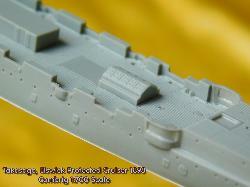 At the stern you’ll find an inset QF gun position on each side. 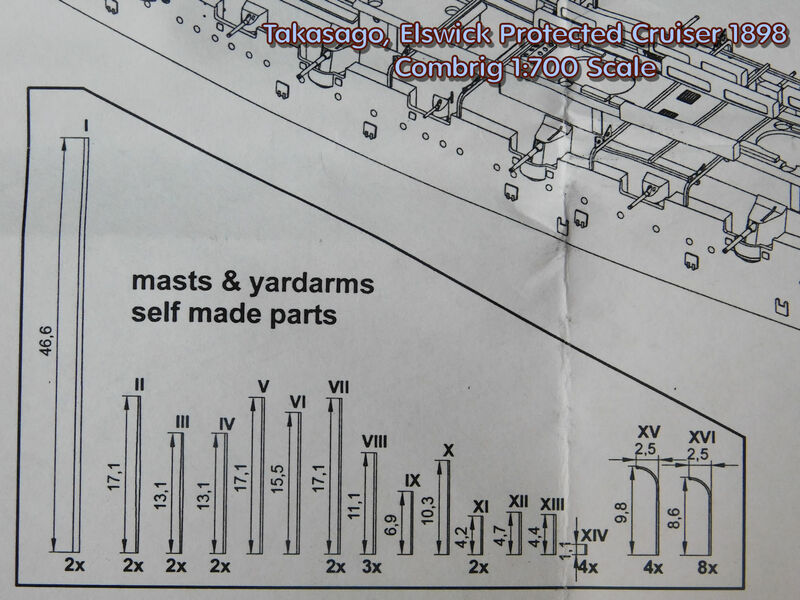 two QF guns and fore mast fighting top also with two holes for QF guns. 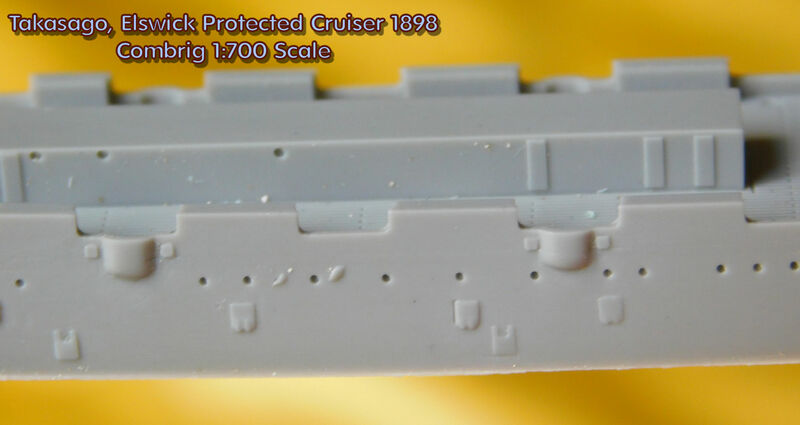 rudder detail. 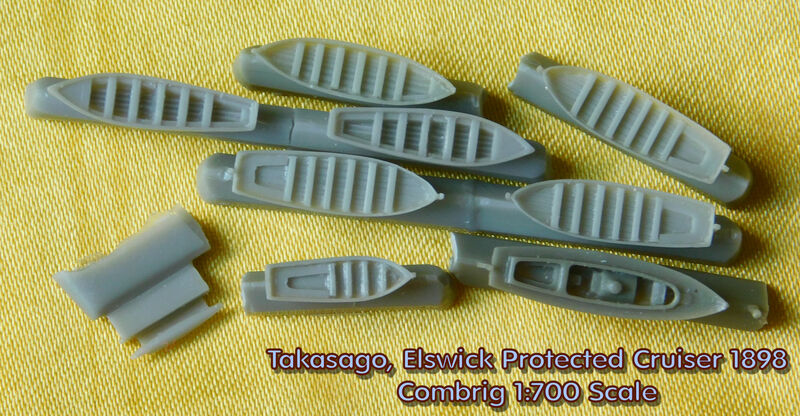 Open boats consist of five medium size boats with transom stern and one medium boat with pointed stern. 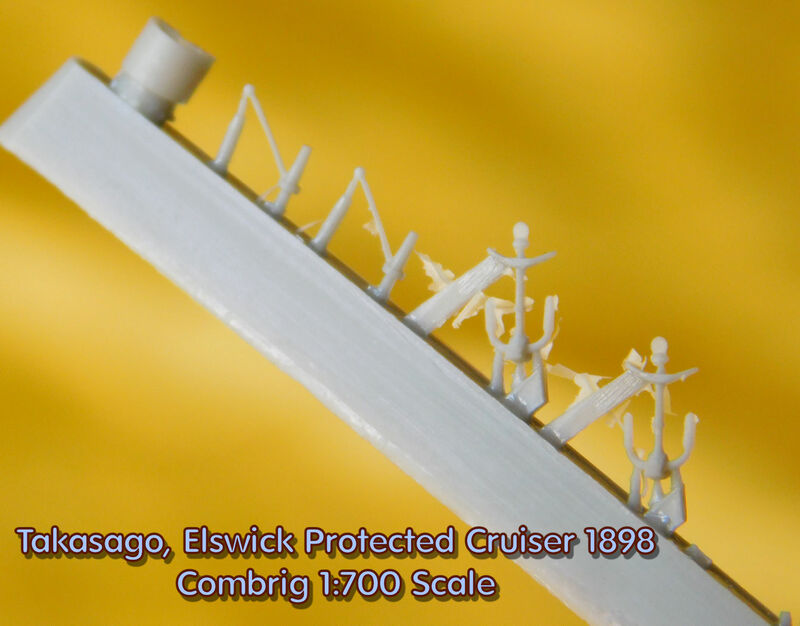 The last runner has a single balsa raft. 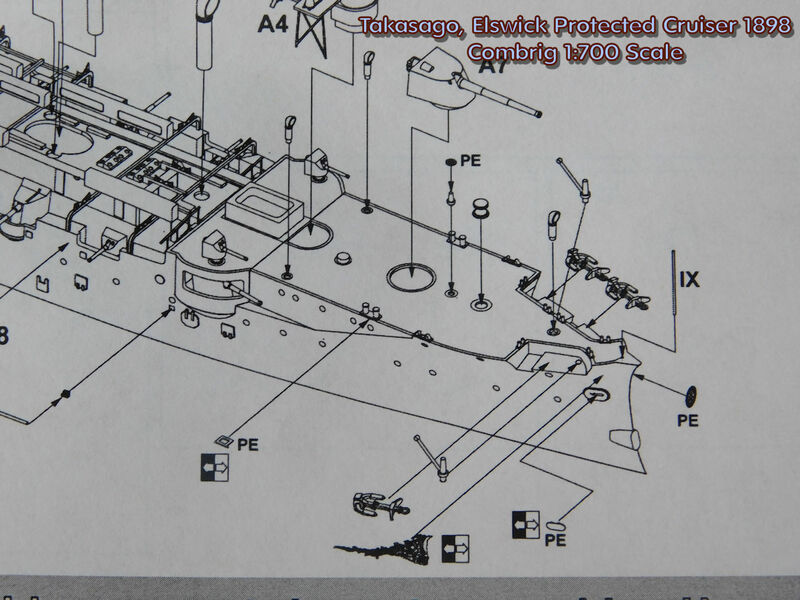 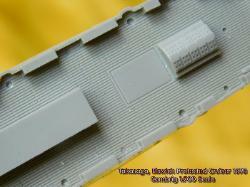 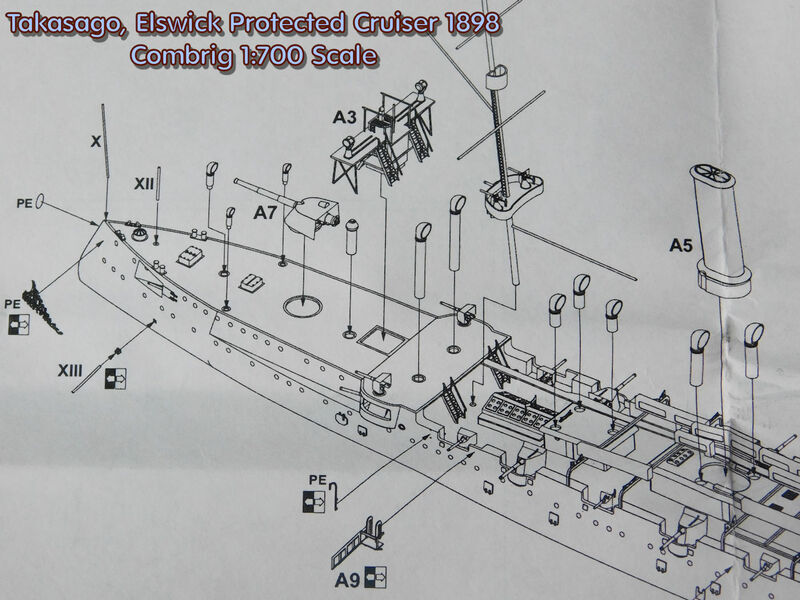 stern hull fitting; leadsman platforms; windlass wheel; and other small parts. 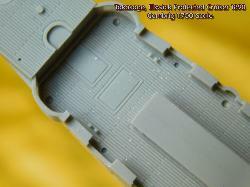 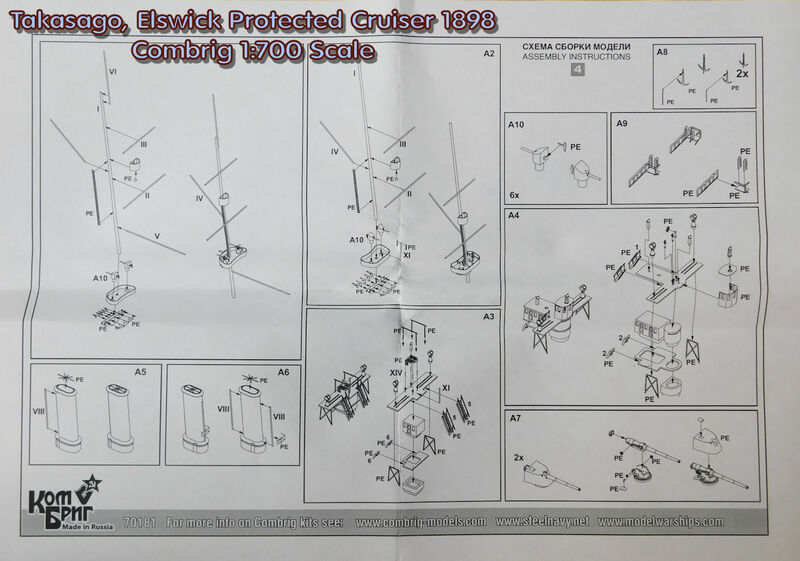 Generic brass parts include two runs of anchor chain and two runs of vertical ladder. 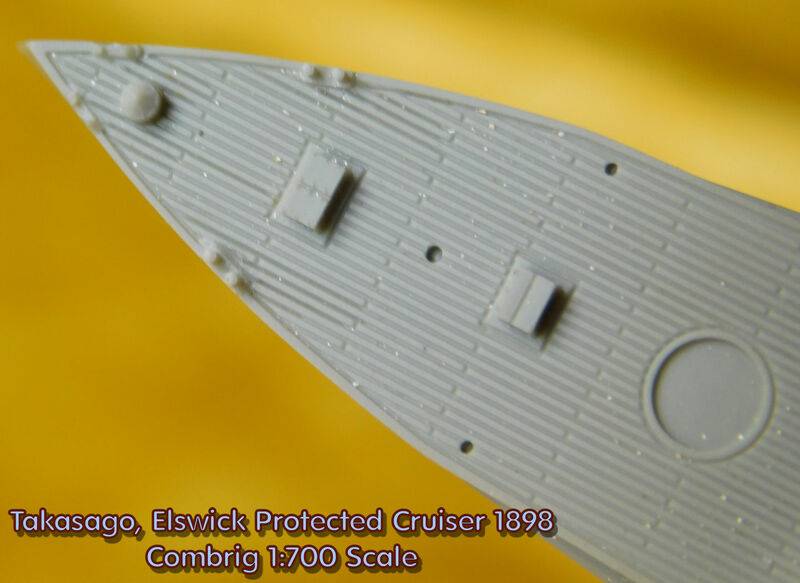 completed model. 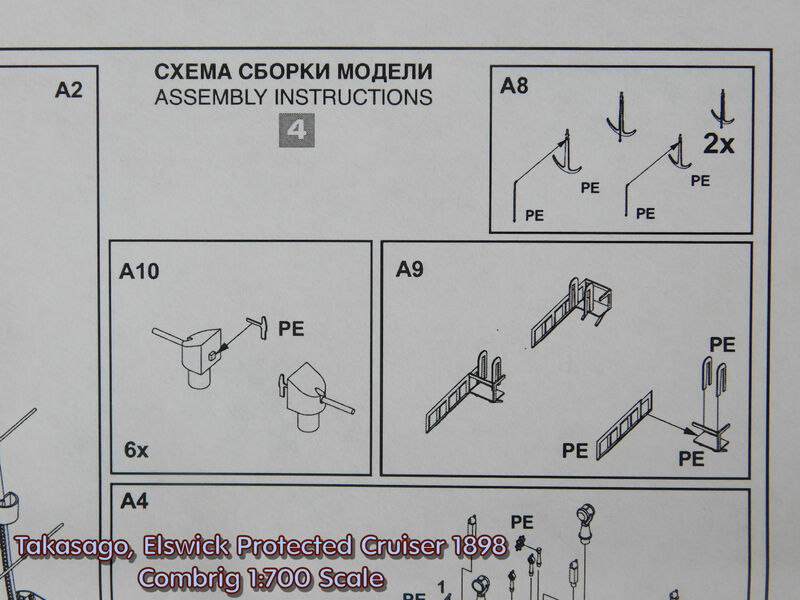 I see no problem following these instructions and consider them comprehensive. 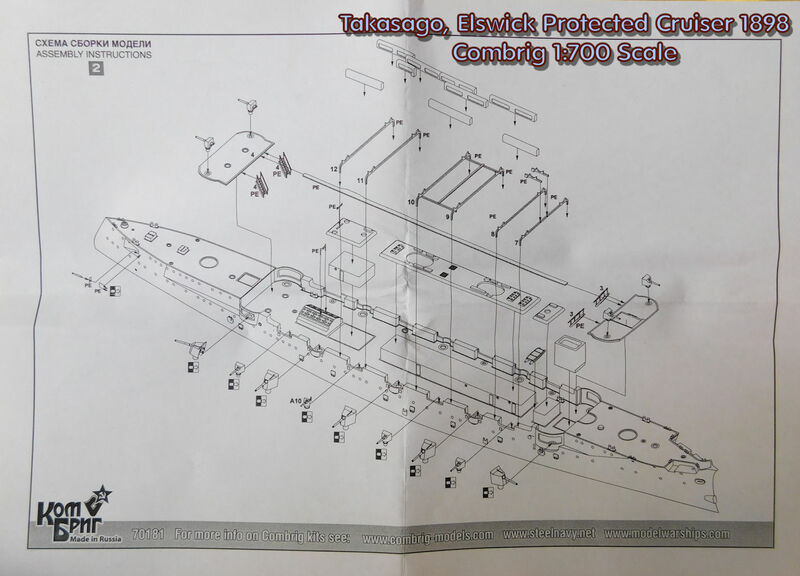 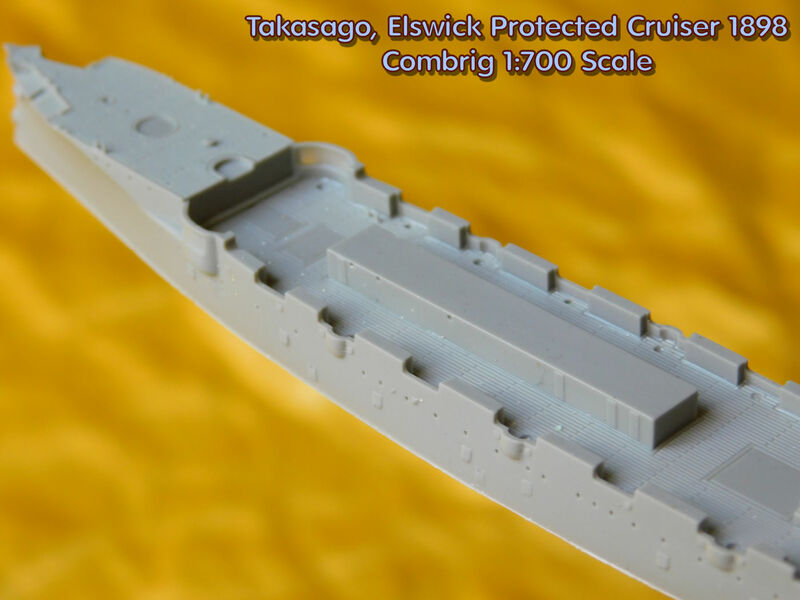 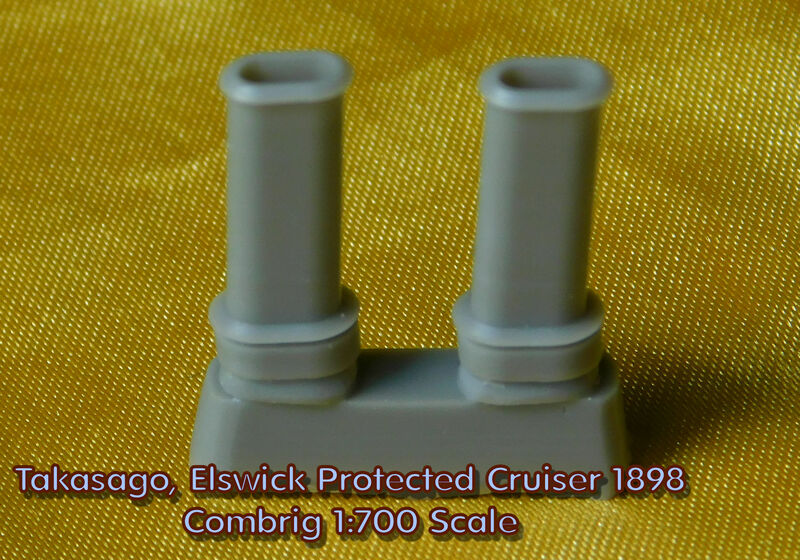 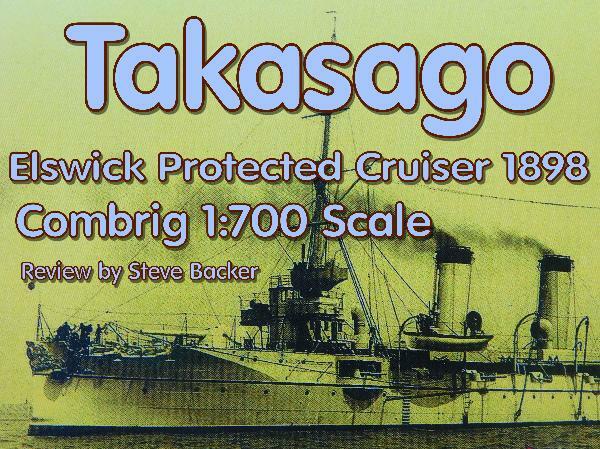 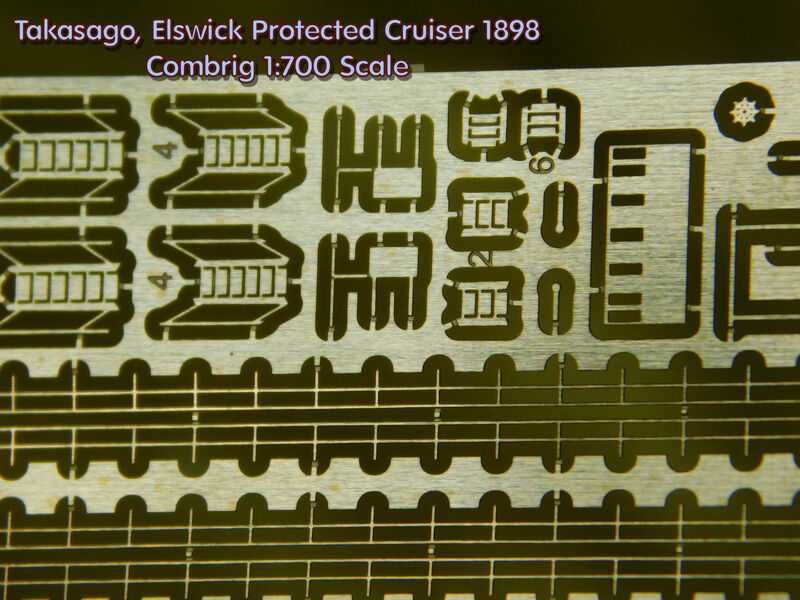 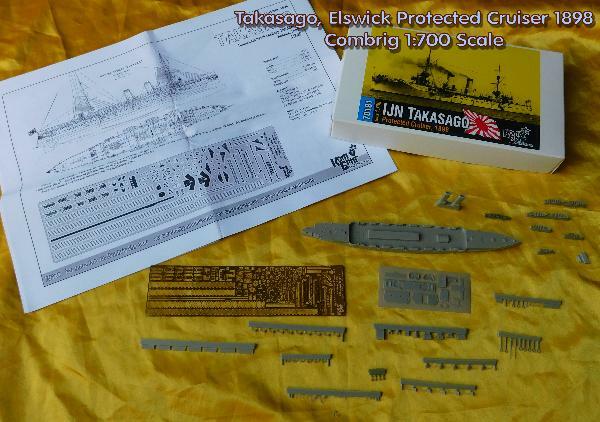 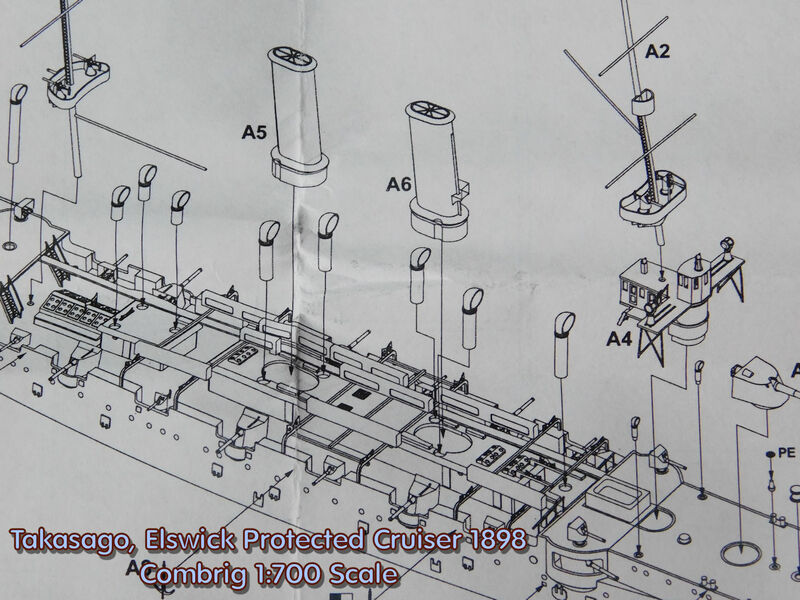 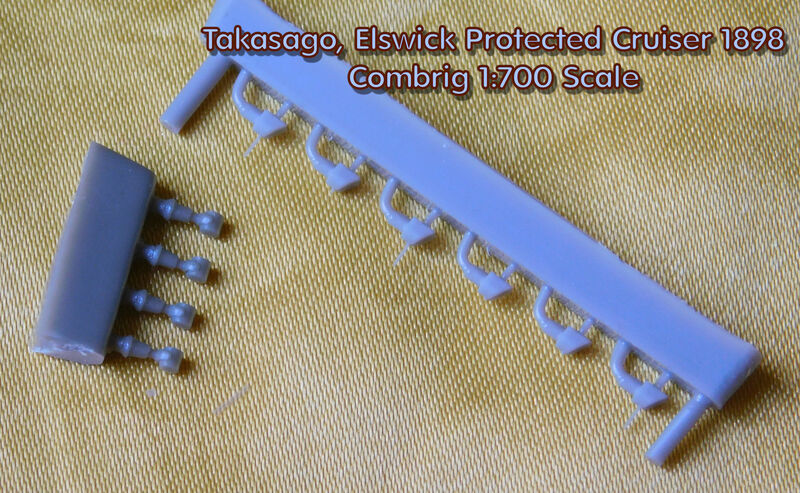 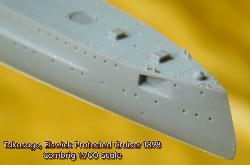 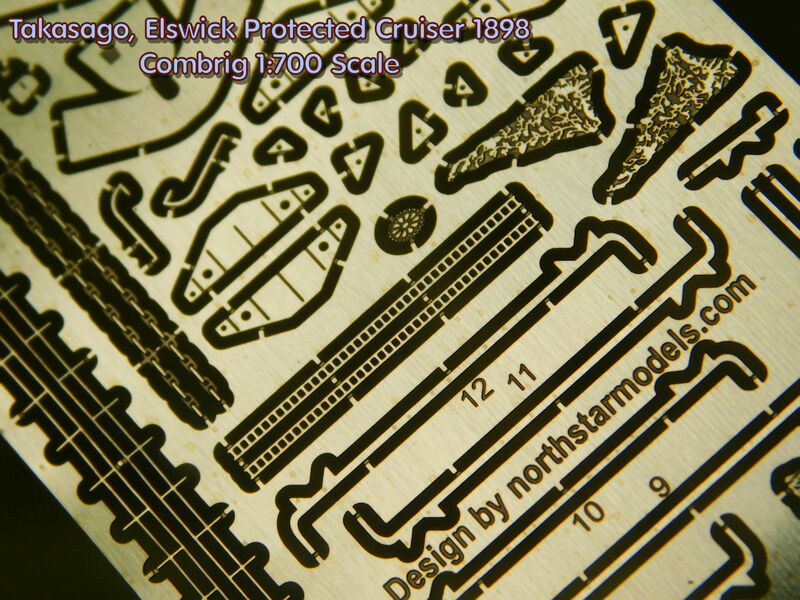 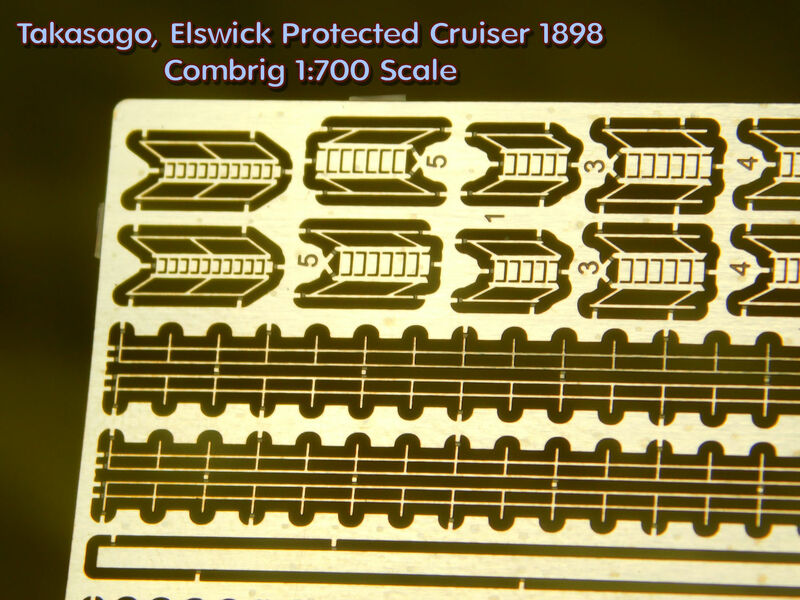 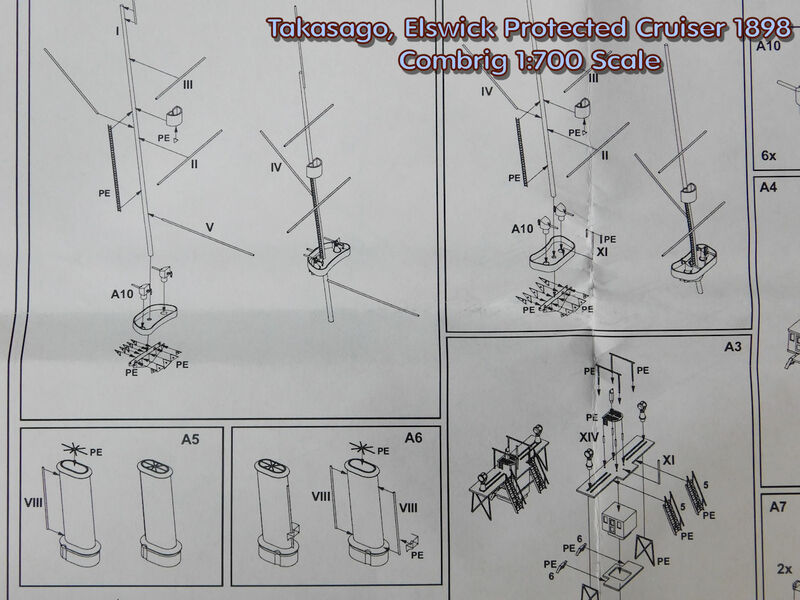 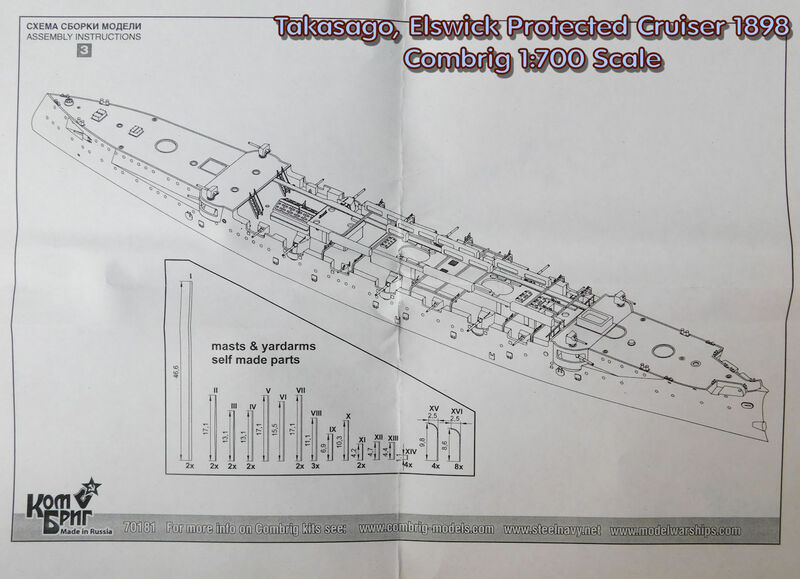 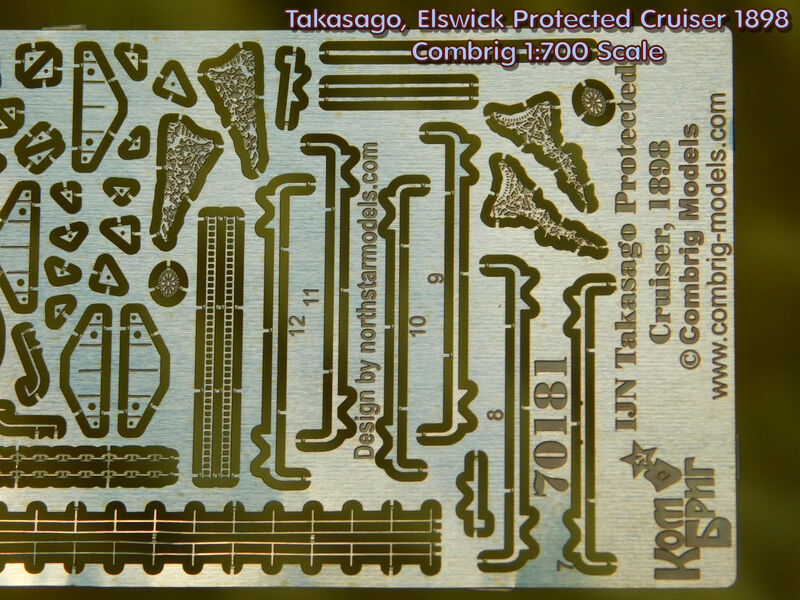 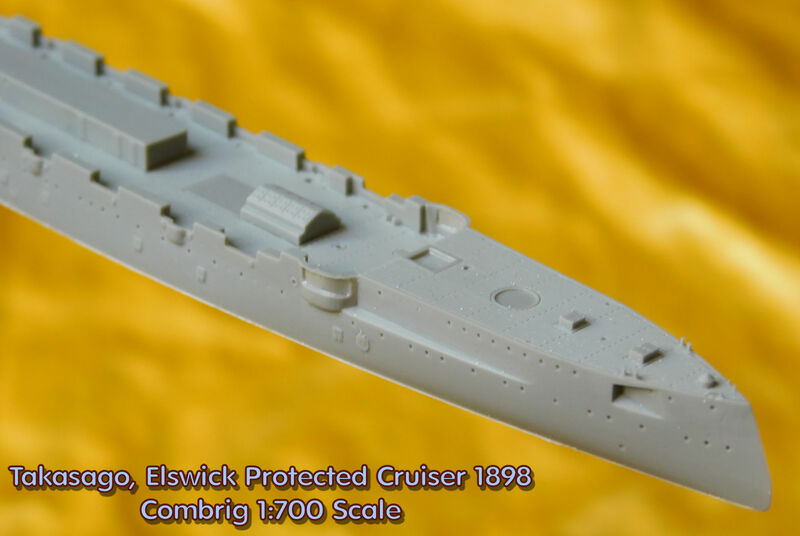 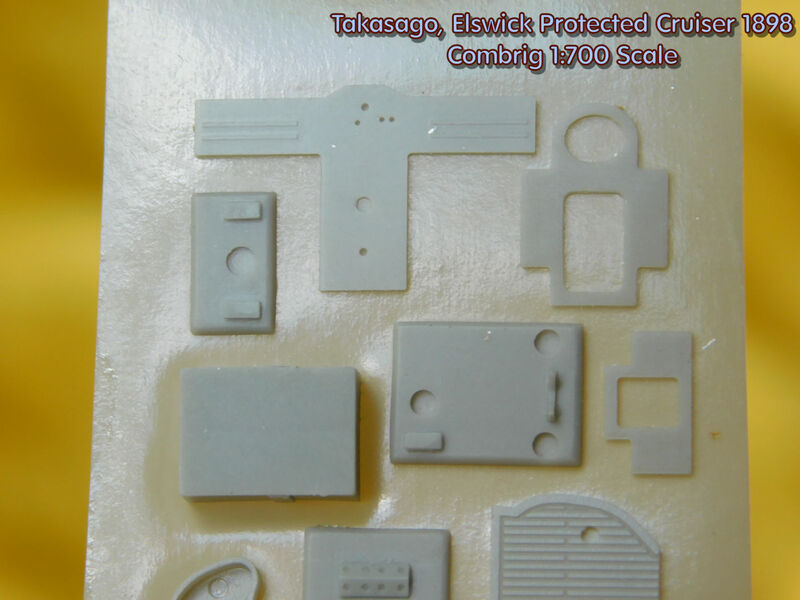 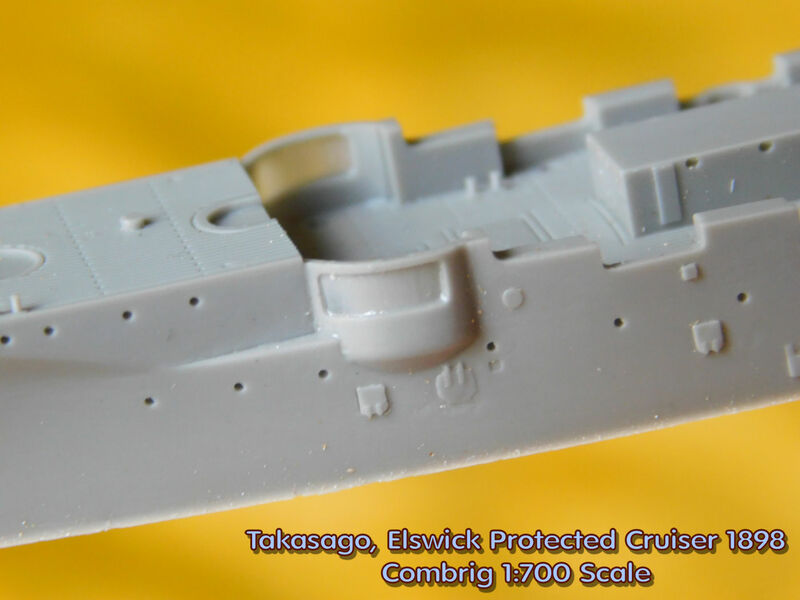 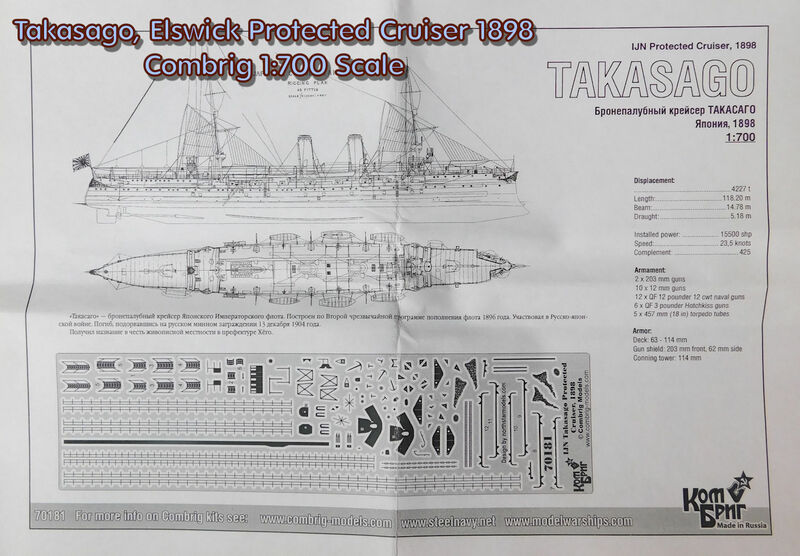 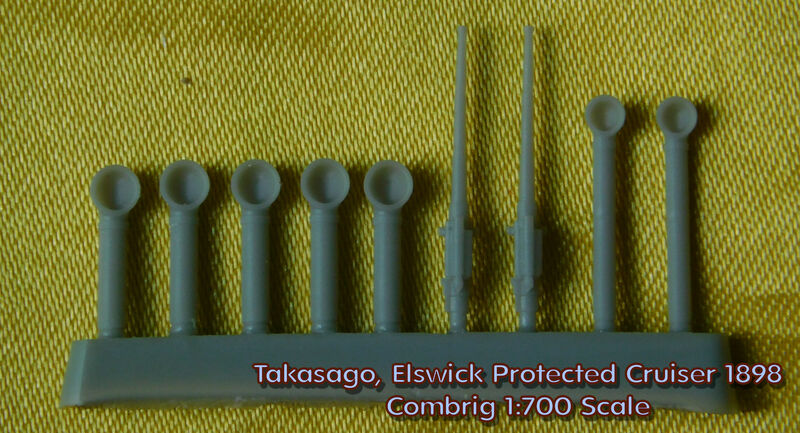 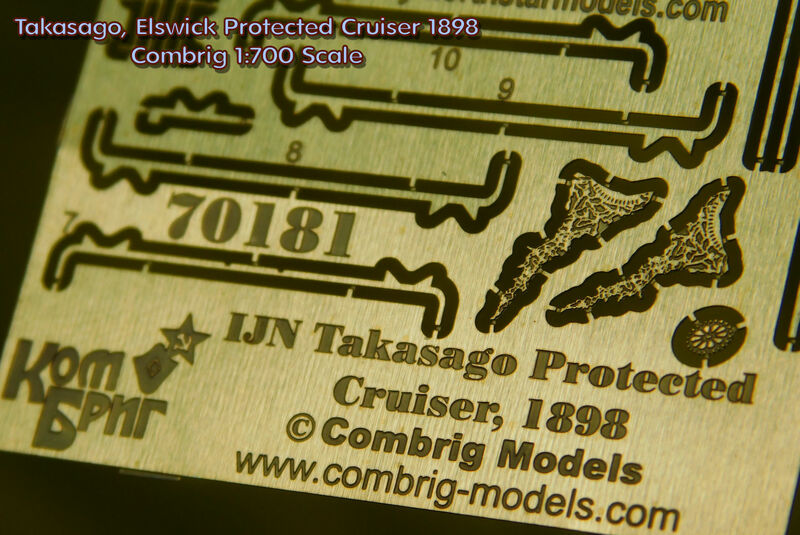 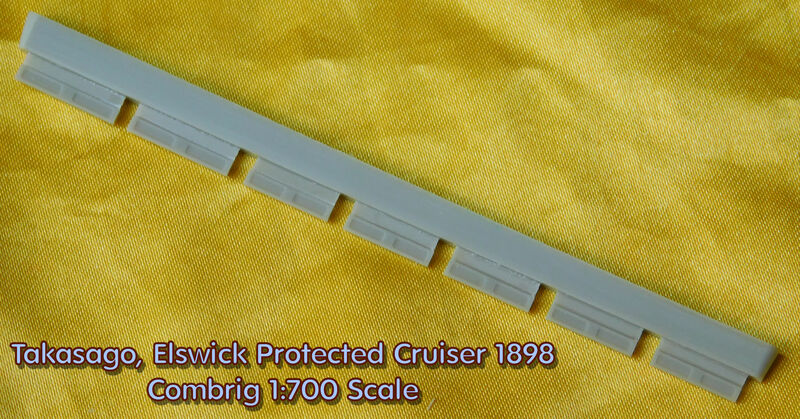 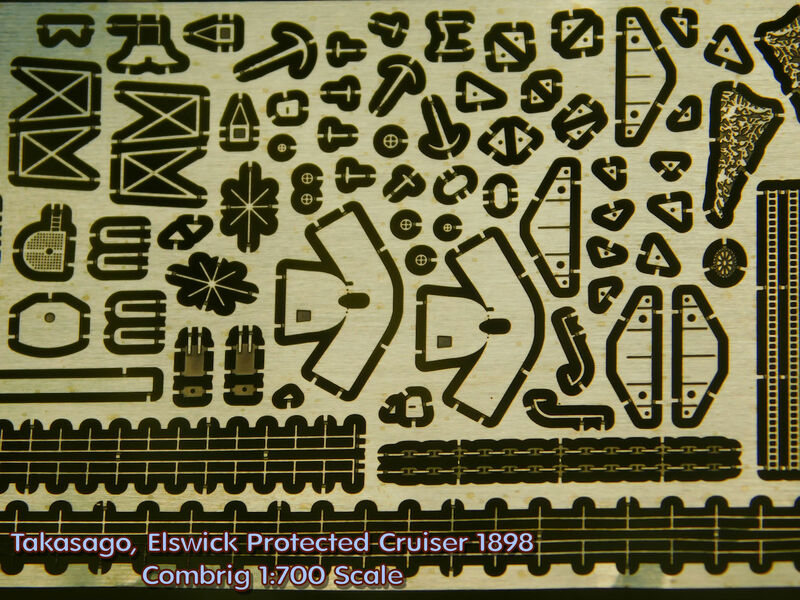 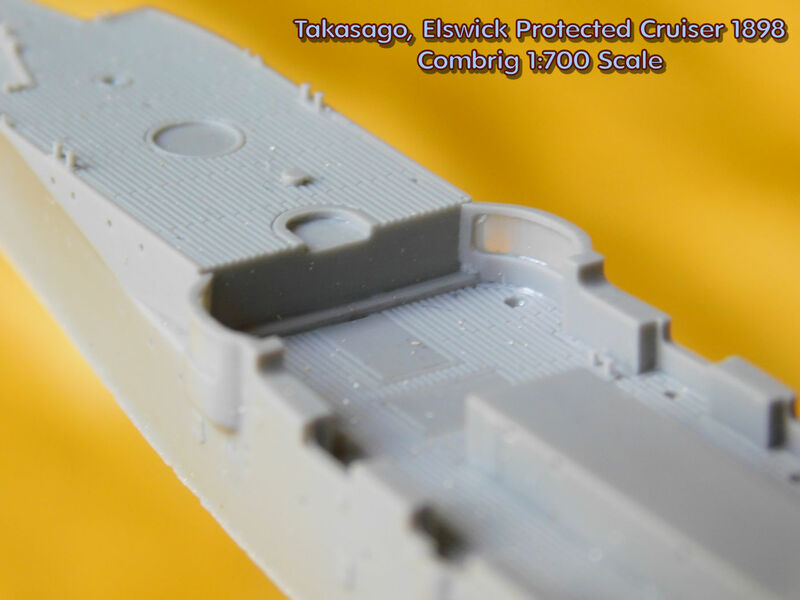 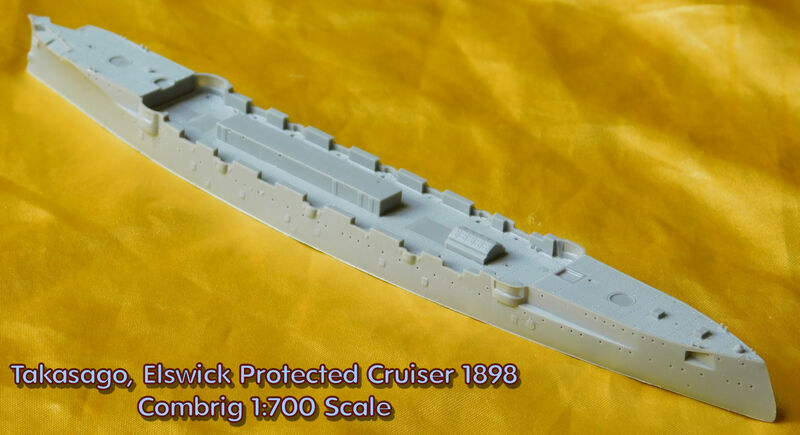 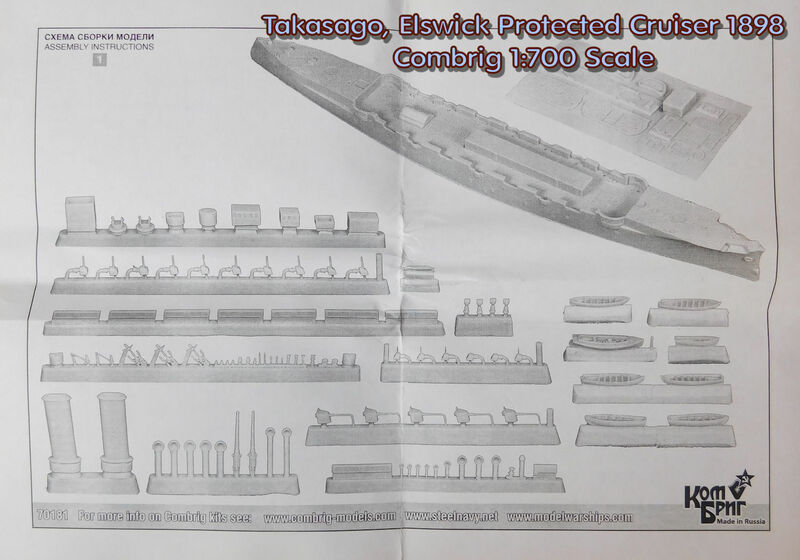 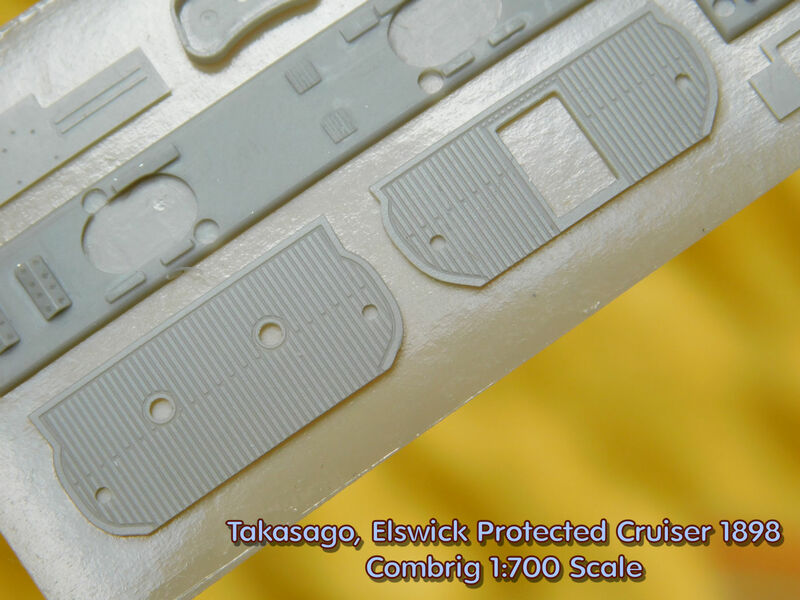 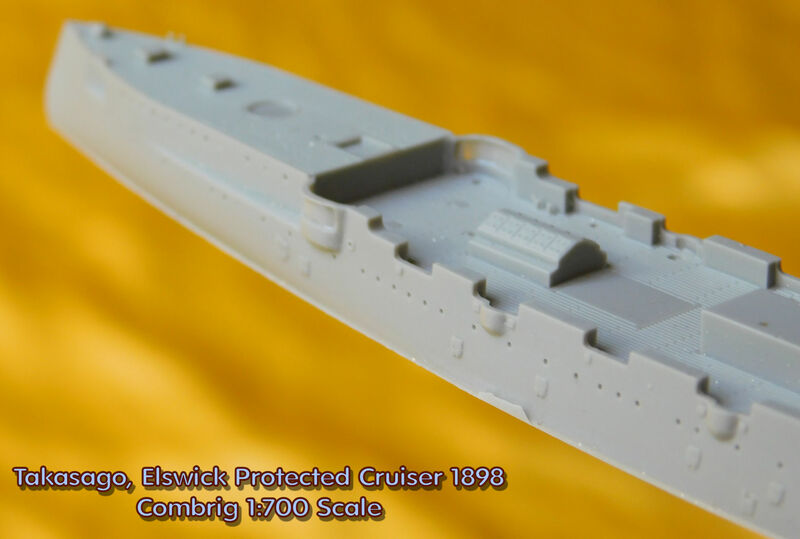 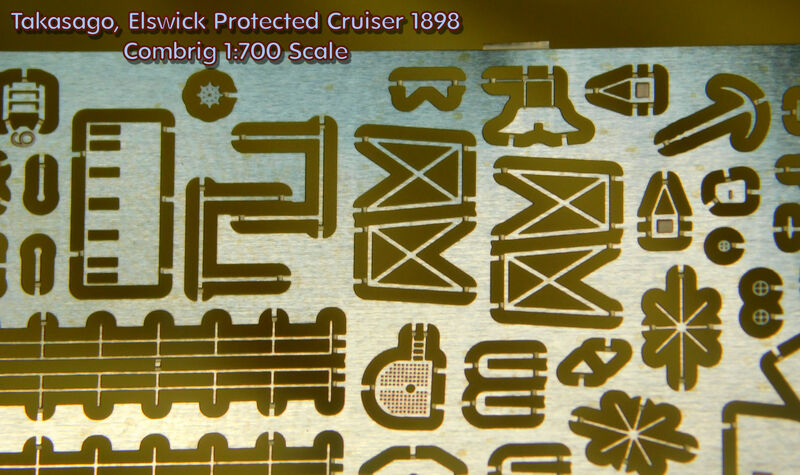 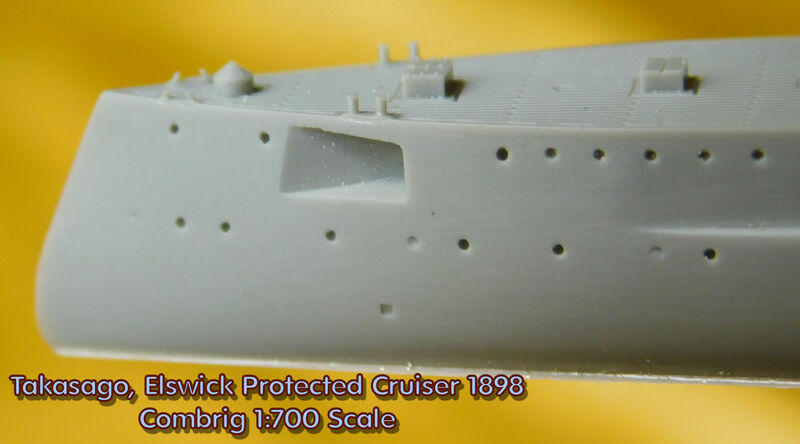 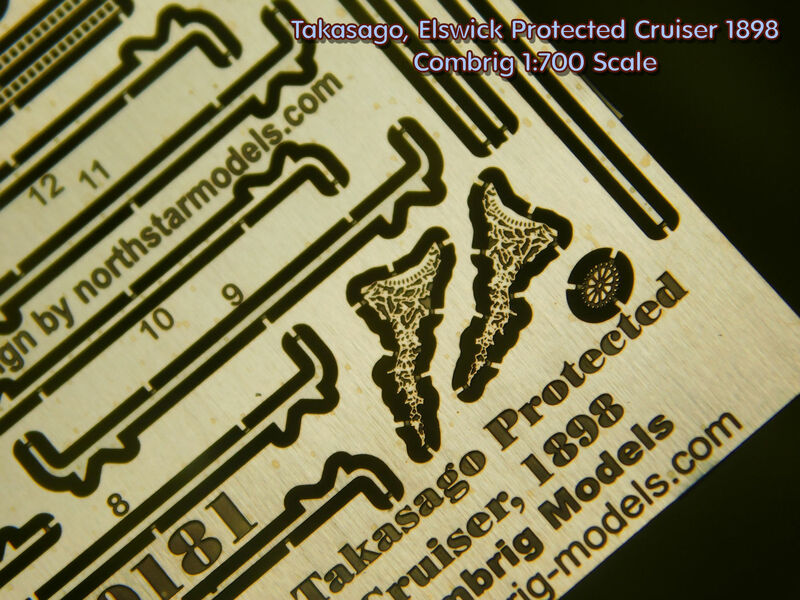 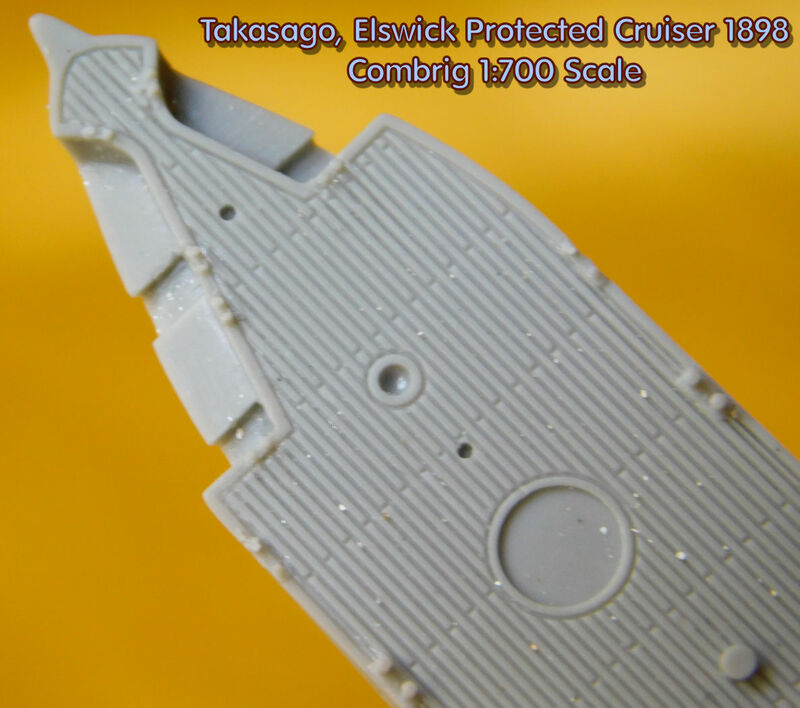 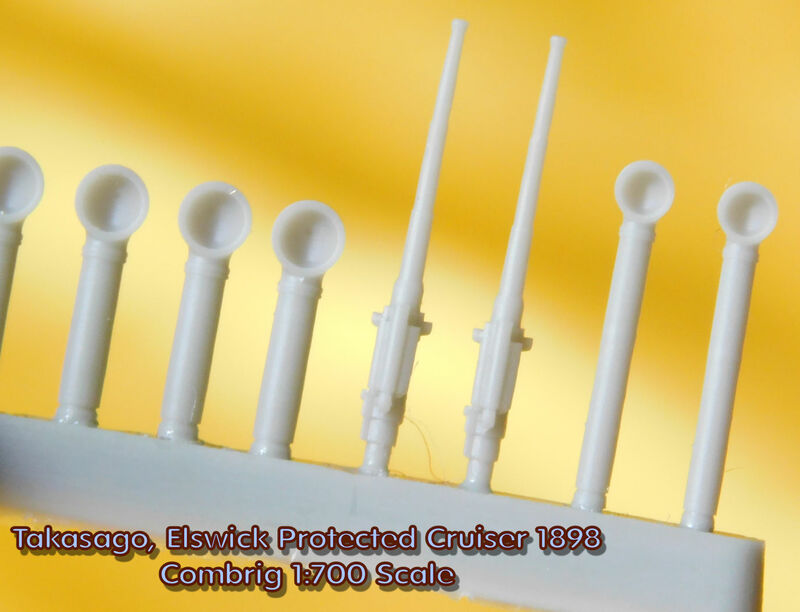 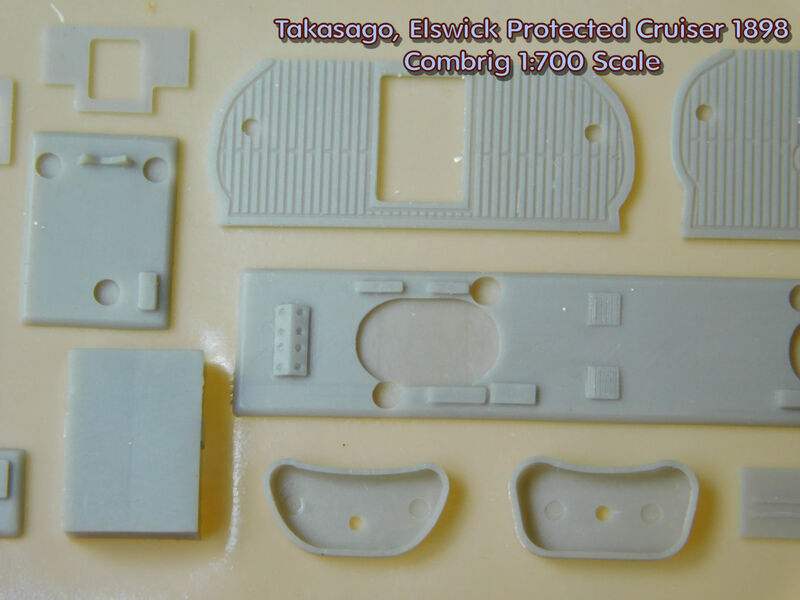 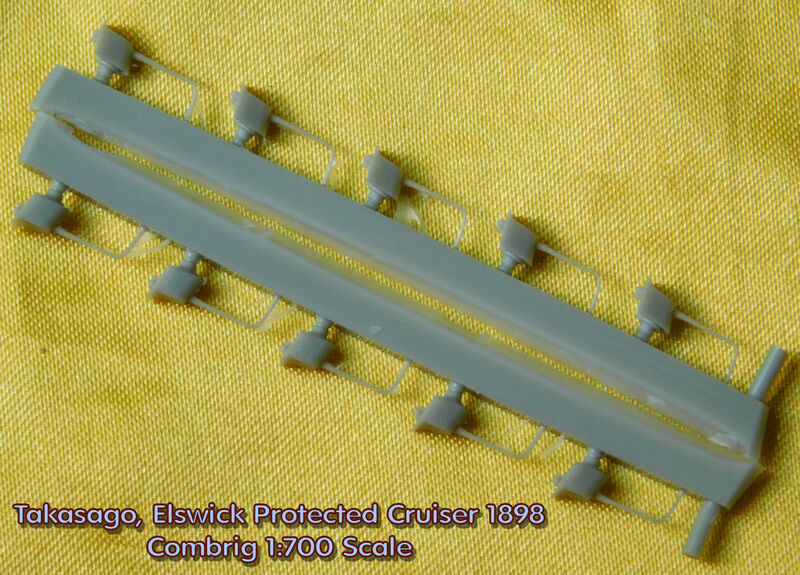 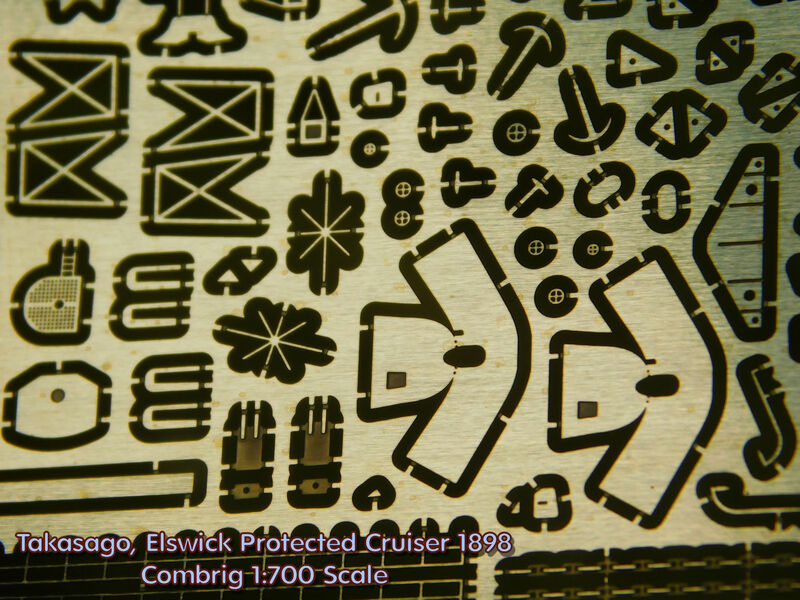 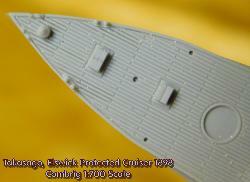 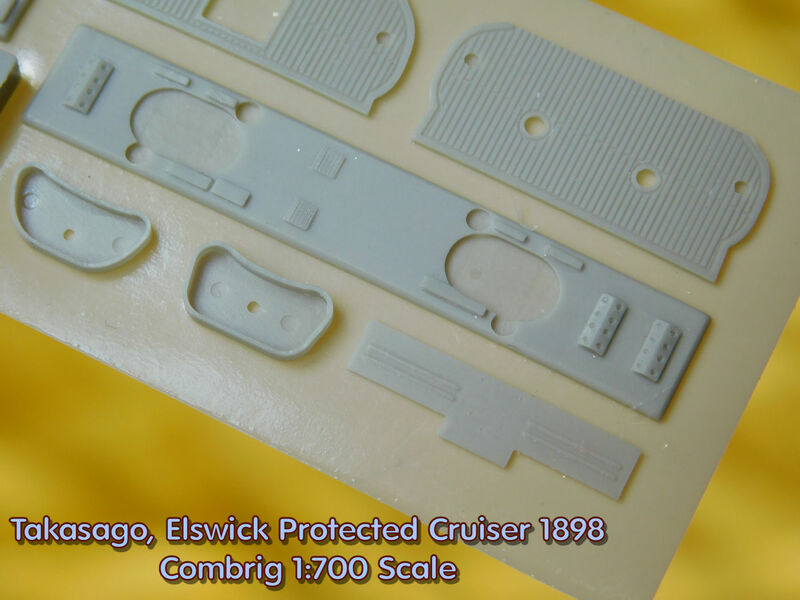 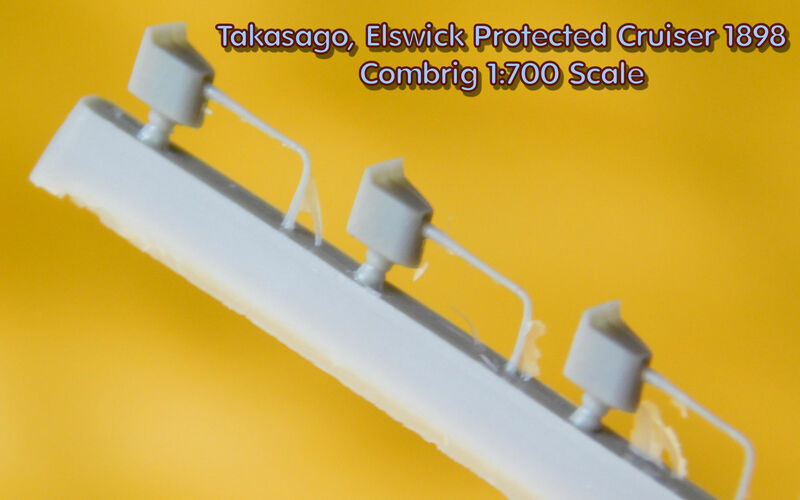 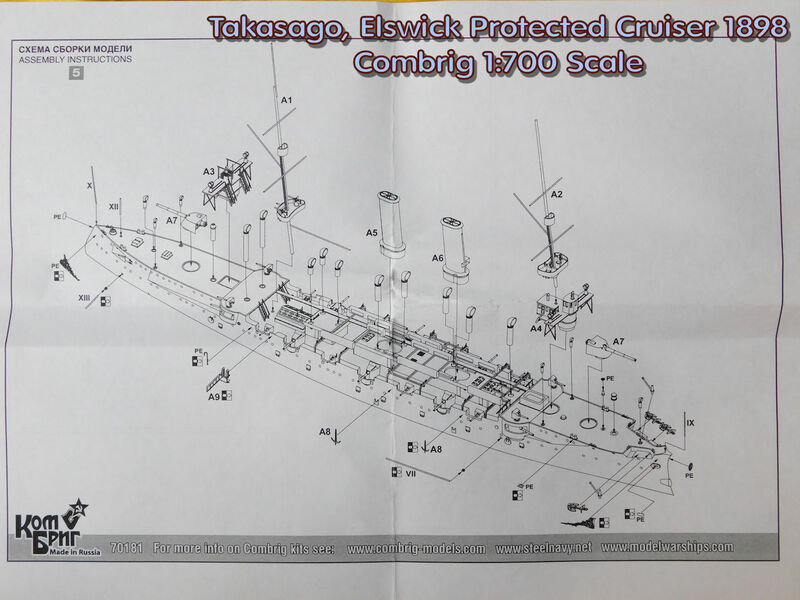 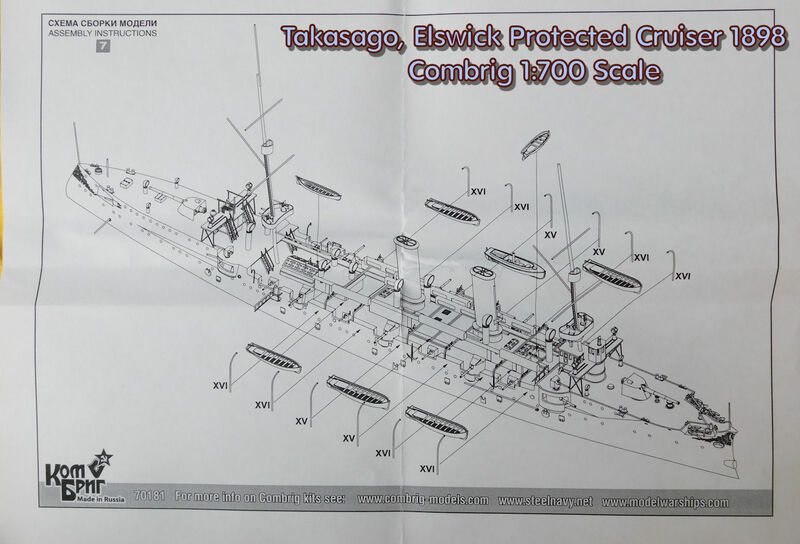 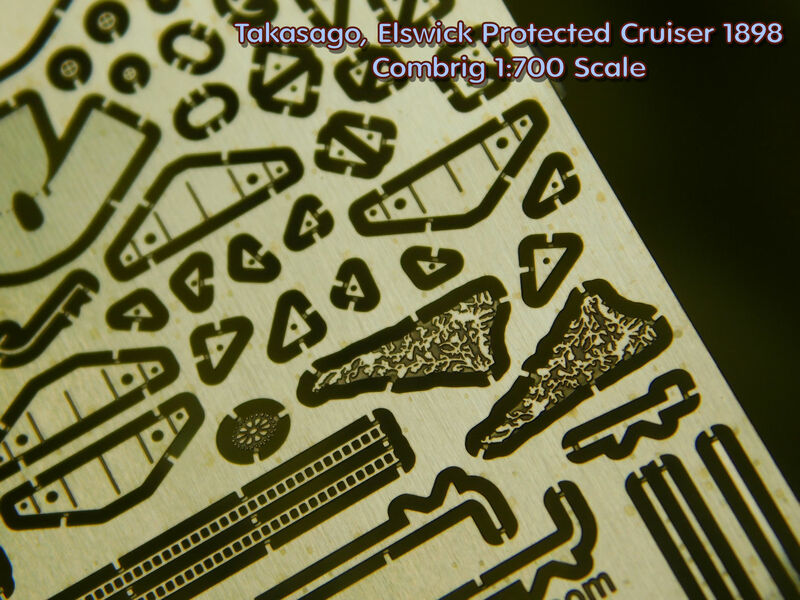 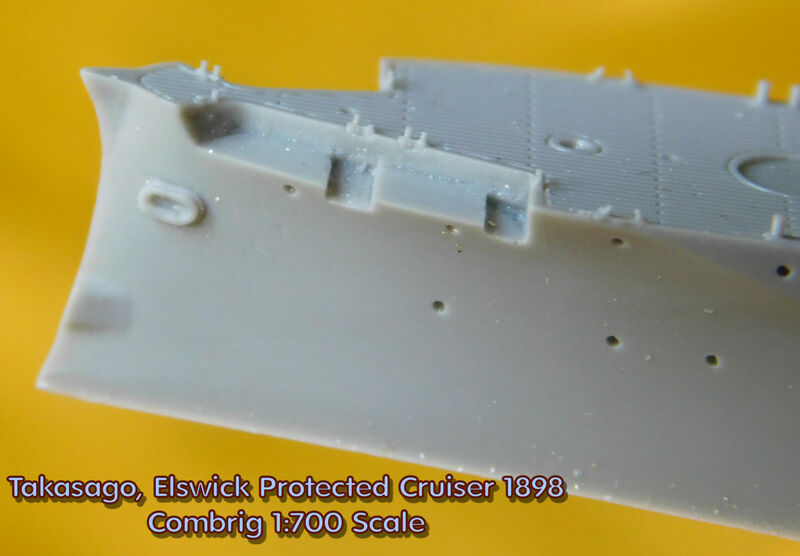 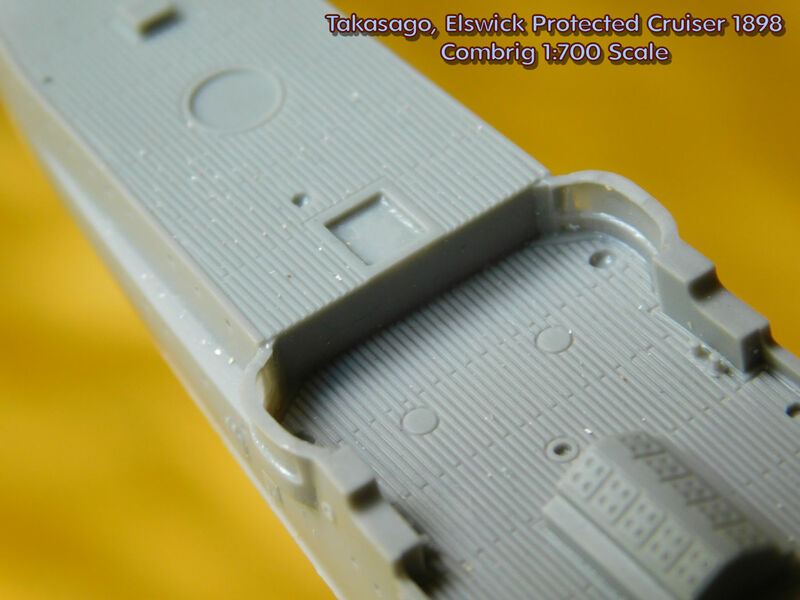 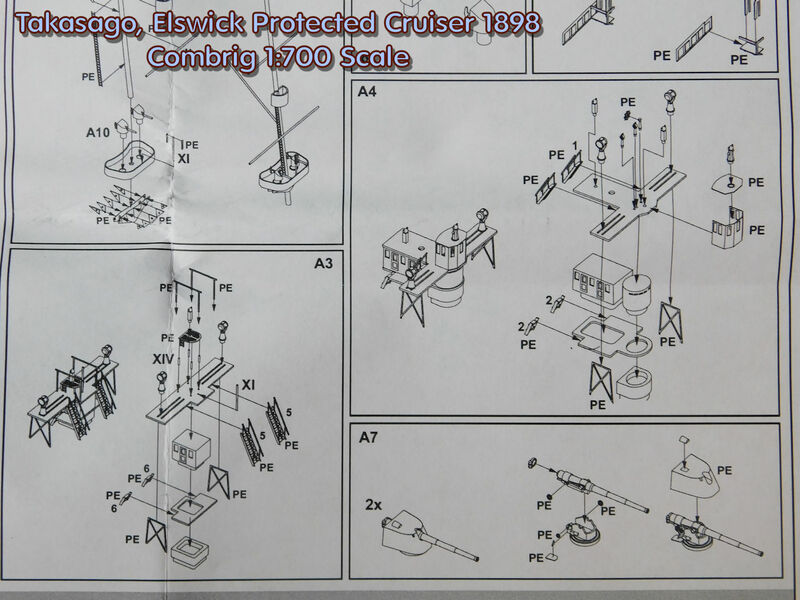 The Combrig 1:700 scale model of the Japanese Elswick Protected Cruiser Takasago has all of the bells and whistles for an exceptionally well detailed model. 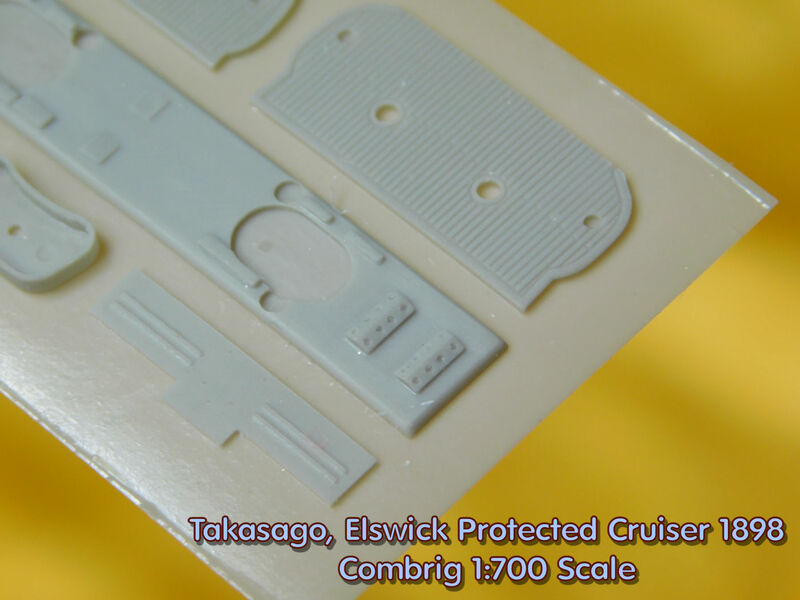 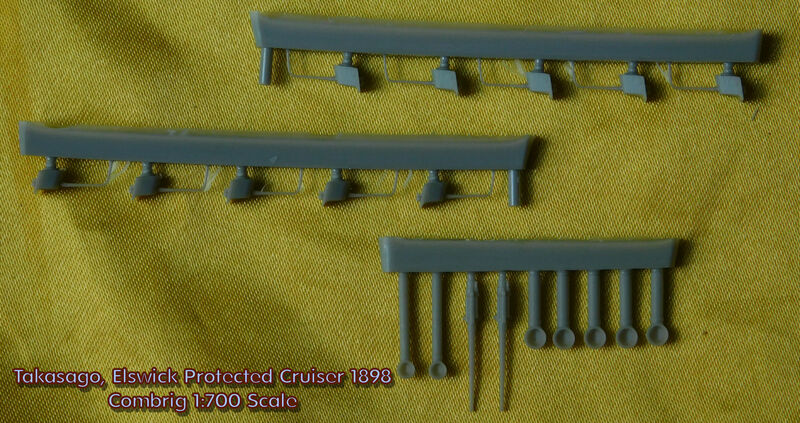 Wherever you look, resin parts, brass parts or instructions, there are very significant improvements over previous Combrig 1:700 scale kits.